Looking for a couple's fifth wheel that includes extra sleeping space when the kids or your friends stay overnight? You can offer them the hide-a-bed sofa in the rear living area or they may even be able to sleep on the smaller sofa. 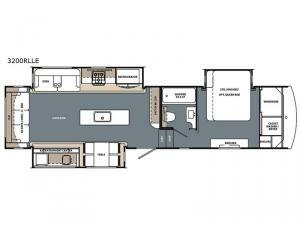 The chef will love the layout of the kitchen including the island, hutch and appliances. Just imaging having the choice of making a meal in a microwave oven. You can store leftovers in the residential refrigerator or in the smaller refrigerator in the exterior kitchen. Once you are ready for bedtime, the king bed will allow you plenty of room to rest. You might even decide to add a washer and dryer option to keep everything fresh and clean throughout your stay. Take a look! 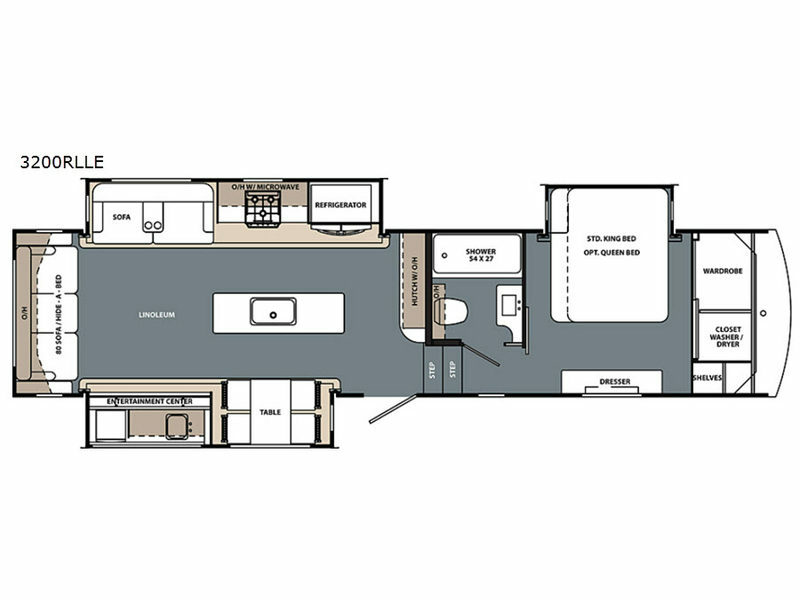 The Cardinal Limited fifth wheels are anything but ordinary with residential features throughout, a cathedral ceiling with crown molding, hanging pendent lights above the kitchen sink, 100" wide construction, and a high gloss premium fiberglass exterior. You will also appreciate all of the space inside each model. The Essential Cardinal camping package includes features such as LG solid surface kitchen countertops, a stainless steel XL single bowl sink, a Winegard Wifi/4G prep, and a residential high rise "bullet" faucet. Choose your favorite layout, and start camping in luxury and style! Shower Size 54" x 27"